Earlier today, we reported that production has gotten under way on Spider-Man: Homecoming, with star Tom Holland sending out the first photo from the set in Atlanta. We also learned that three new actors have joined the cast in unspecified roles. Now we have word of yet another casting addition, and even more photos from the set. Comedian/actor Hannibal Buress has signed on, while star Tom Holland and several of his co-stars were spotted as filming began in Atlanta today. The photos surfaced at Just Jared, featuring our first look at Tom Holland, Zendaya Coleman and Tony Revolori. We don't know much about what was being filmed today, but one of Marvel's other filmmakers, James Gunn, shared a new photo with himself, Tom Holland and Chris Pratt, along with a message wishing the production the best of luck. Here's what the filmmaker had to say on Facebook below. "Many blessings today to the star of Spider-Man: Homecoming, Tom Holland, and the film's director, Jon Watts (standing in here for Jon is some dude that was passing by), as they begin their shoot in Atlanta just as we are ending ours. I don't think we could pass the Marvel baton to two nicer, better guys who care more about what they're doing. Kill it!" As for Hannibal Buress' character, no details were given at this time, but he joins a growing cast. Marisa Tomei returns as Aunt May after making her MCU debut alongside Tom Holland in Captain America: Civil War last month. The cast also includes Robert Downey Jr. as Tony Stark/Iron Man, Michael Keaton as the villain, rumored to be Vulture, and Laura Harrier and Michael Barbieri in unknown roles. The cast is rounded out by Donald Glover, Kenneth Choi and Logan Marshall-Green, but nothing is known about their characters either except that Marshall-Green is playing another villain alongside Keaton rumored to be The Tinkerer. Jon Watts (Cop Car) is directing from a script by John Francis Daley and Jonathan M. Goldstein (Vacation), with Kevin Feige and Amy Pascal producing. 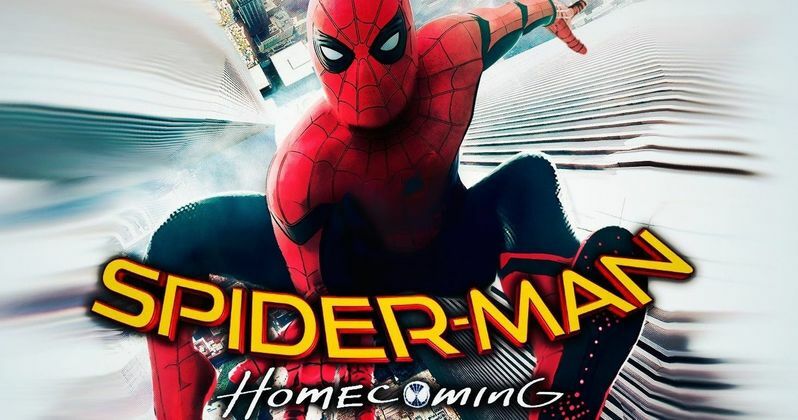 Sony and Marvel have set a July 7, 2017 release date for Spider-Man: Homecoming, and now that production is under way, hopefully the studios will release the first plot details soon. In the meantime, check out the first photos from the Atlanta set of Spider-Man: Homecoming.